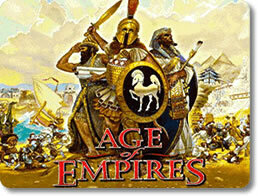 Age of Empires Game - Download and Play Free Version! Gather Supplies, Research New Tools, and Wage War! 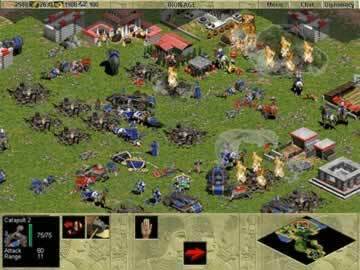 If Age of Empires sounds like a familiar name to you, then it should, being an award-winning series of real-time strategy games that began as far back as 1997. 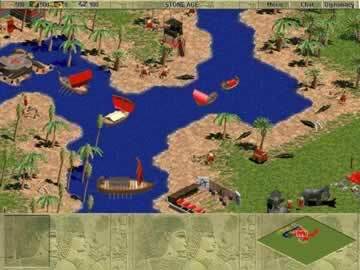 The series has been credited for a great many innovations to the genre over the years, making it an especially important title to the history of the RTS. This is only fitting, because history is the name of the game for Age of Empires. You’ll take control of a number of ancient civilizations that date as far back as 2000 B.C., and lead them through the ages as they become mighty empires. You are the historian in Age of Empires! Take control of the civilization of your choice and witness firsthand how it became one of the most influential cultures mankind has ever seen. Choose from a dozen ancient civilizations, including the Greeks, Babylonians, Egyptians, Hittites and Yamato. Build your sprawling empire up from a small tribe. Gain access to different units, buildings and wonders based on the civilization you select. Fight famous historical battles, including the Trojan War and the Siege of Athens. No empire ever got to where it was without its founders familiarizing themselves with the lay of the land. Similarly, if you want to get anywhere in Age of Empires, you’ll need to learn about the territory your people are immersed within. Find where the best resources are, see what areas make the most defensible positions, and expand accordingly. These will be the cornerstones to your civilization’s advancement and success! Explore large maps littered with resources, animals, enemies and natural barriers. Gather a number of resources, including food, wood and stone. Research new technological developments, including new units, tools, weapons and buildings. Build your camps, bases, villages and cities from the ground up. History has shown that one civilization’s advancement will inevitably be met with resistance from another. You’ll have to defend your keeps from rival tribes, conquer neighboring cities, and lead extensive war campaigns against enemy nations. Command a variety of units for combat, including hoplites and archers. Upgrade your units in a huge number of ways. Get them better armor, increase the range of their bows, or improve the quality of their weapons. Back up your soldiers with support. Use priests to heal your allies or convert your enemies. Command a cavalry. Ride to victory by mounting your warriors on horses, chariots or war elephants! Take control of siege engines and nautical vessels. Do you have a love for strategic combat, resource management and world history? If so, then the Age of Empires franchise is just for you! There’s no better place for newcomers of the series to start than here, so get in there and build your empire today!